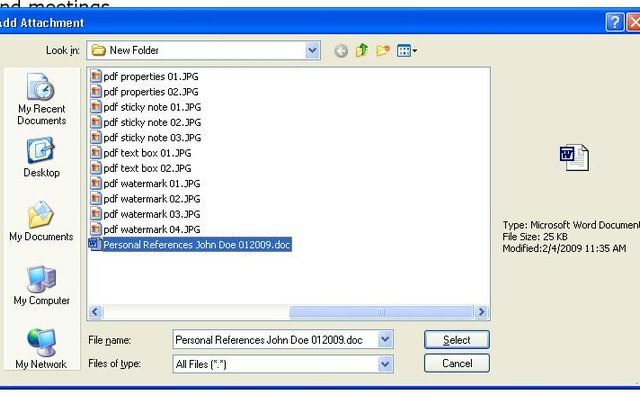 Converting or printing files to PDF allows them to be viewed among people who might not have the original software with which the original file was created. 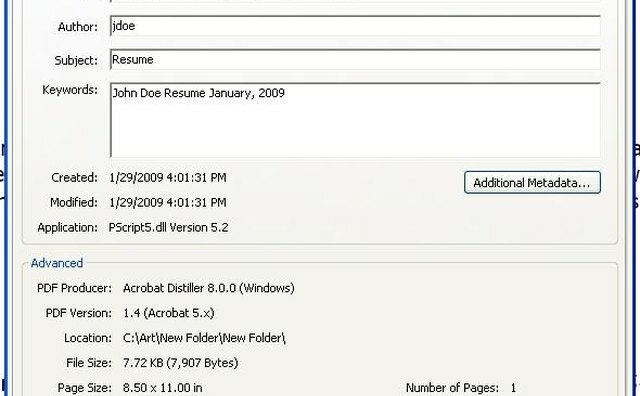 As documents are shared among associates and friends, you may have a need to add information to the PDF file without editing the actual document. 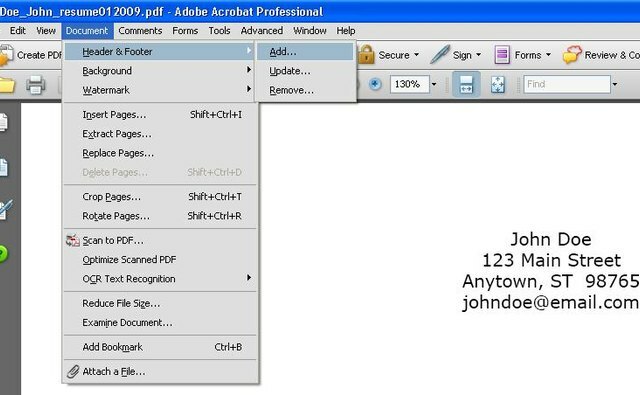 This article will explain different ways to add information to a PDF file. Launch the PDF file to which you want to add text. Click once on the "File" menu option. Click once on the "Properties" option. Click on the "Description" tab in the Properties box to add document details. Based on the original program from which the PDF file was created, some of the information will be pre-filled. Note in the example photo that the original document was created on Microsoft Word. On the description tab, you can change the title, author and subject of the PDF file, as well as add new information in the keywords field. Click on the "OK" button to save your additions and changes. Click once on the "Document" menu option. Click once on the "Header & Footer" option. 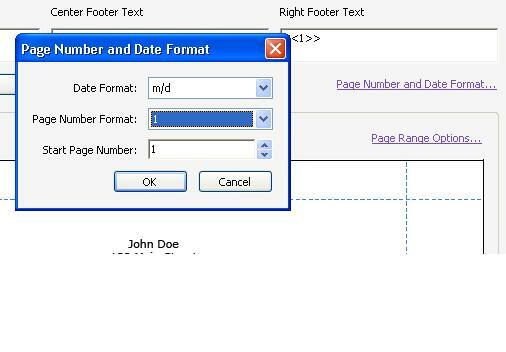 Use the "Add Header and Footer" box to add information to the top and bottom of your PDF file. 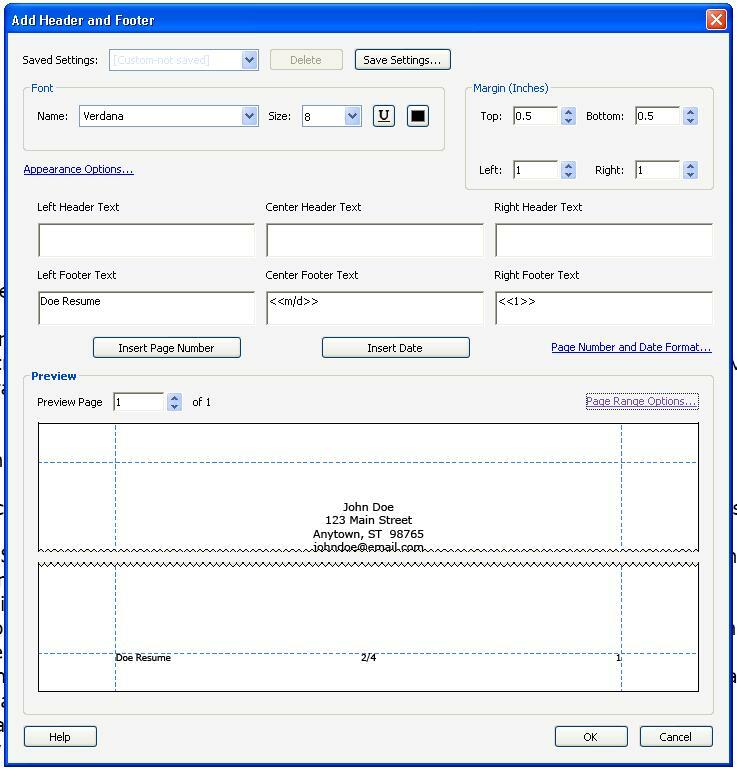 The header and footer sections are divided into three parts each: left, center and right. This feature is fairly robust as far as the amount of control you have over the text and information you add. You can adjust the header and footer margins, as well as the font, size and color of the text. You can add the date and page number, as well. 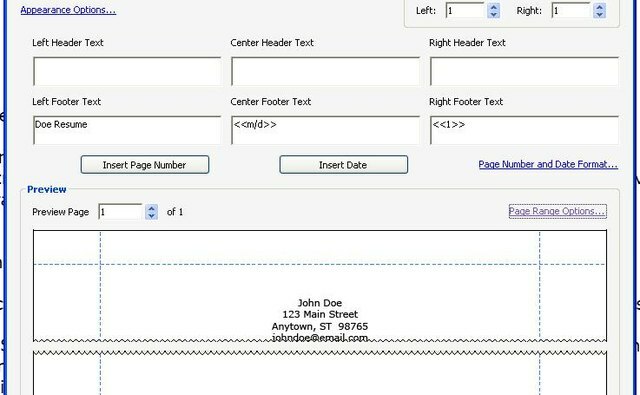 Near the bottom of the box, you will notice that you can preview what the text will look like on the document in the header and footer. Adjust the page number and date appearance, if applicable. Click once on the "Page Number and Date Format" link. 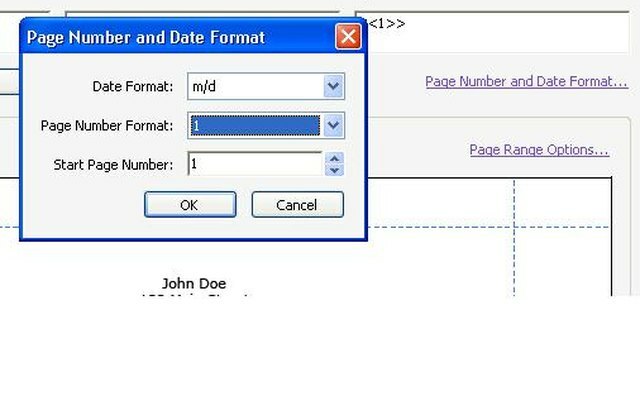 From this window, you can change the page number and date formats. Refer to the example. Note that the date is listed as "2/4," but it could be changed to list as "2/4/09" or "February 4, 2009." The page number is listed as "1," but it can be adjusted to "1 of 4." Click on the "OK" button to save your additions and changes. Refer to the example for an idea of how the footer will look on your PDF file. Click once on the "Comments" menu option. Click once on the "Comment & Markup Tools" option. 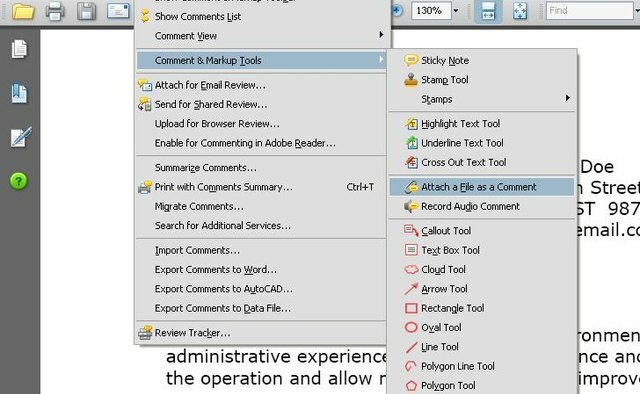 Click once on the "Attach a File as a Comment" option. 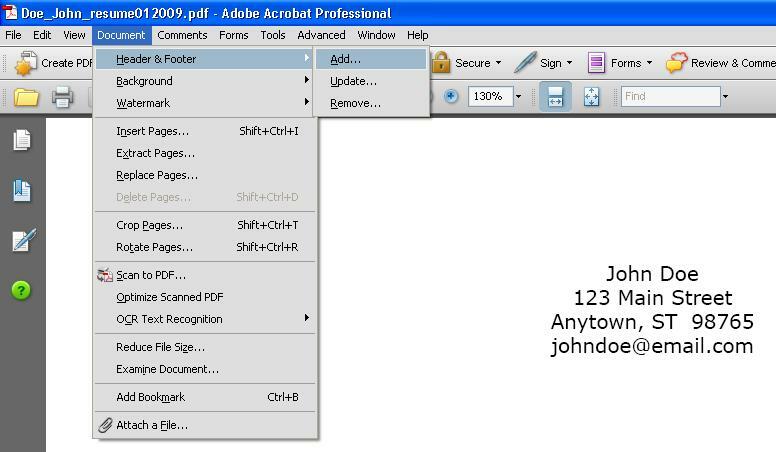 Click once in the area of the PDF where you want to attach the file. Choose the file from the "Add Attachment" box. You can browse through and choose any saved files. Please keep your audience in mind. For example, if you plan to attach a Microsoft Word or Excel document, make certain that the others who will view the file have the appropriate software to do so. 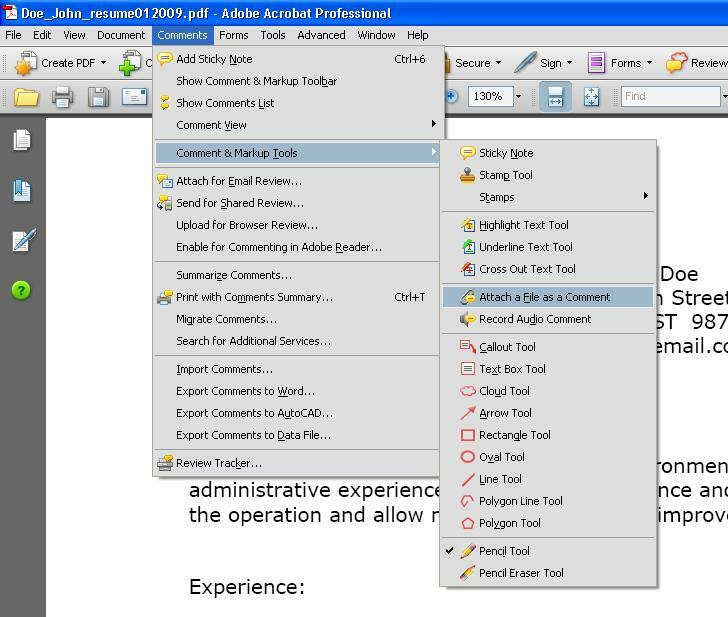 Consider converting the planned attachments to PDF files prior to adding them. 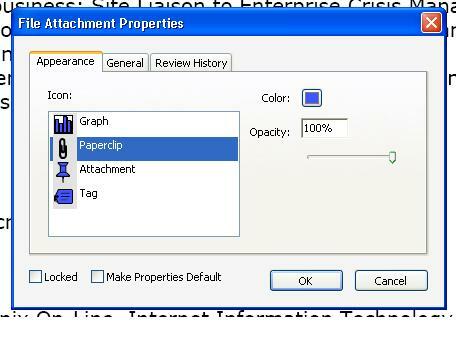 From the "File Attachment Properties" box, choose the appearance of the icon that will represent the attachment. You can change the color of the icon from this box, as well. After you've uploaded the attachment, you can move it to another place by clicking once and holding the mouse button on the icon to drag it around the PDF file. 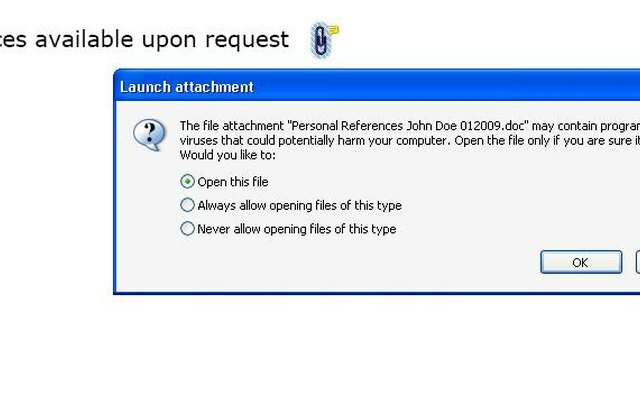 Click once on the file attachment icon to view it. 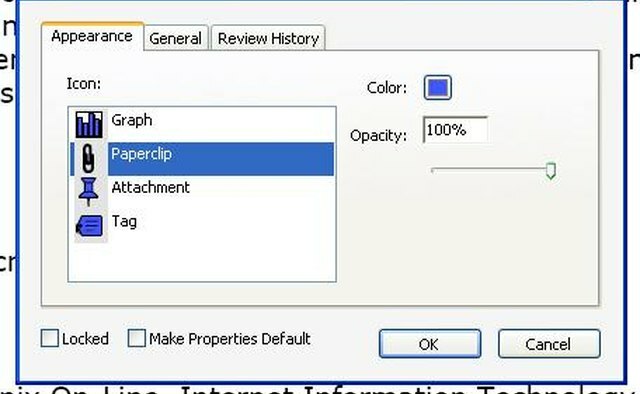 You can delete the file attachment by right clicking once on the icon and then pressing the Delete key. 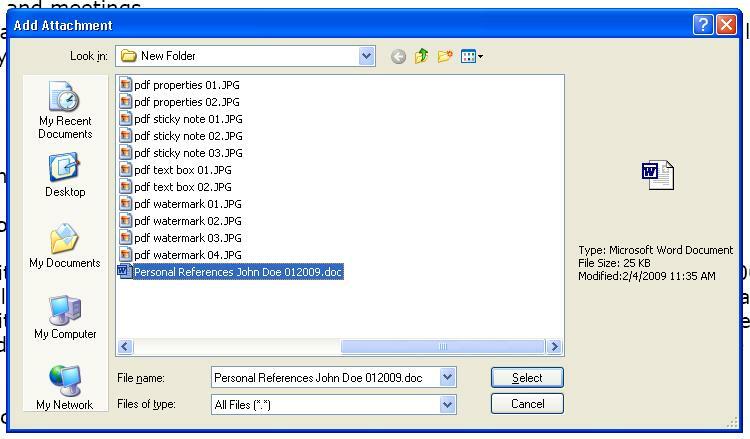 Make certain to save the changes to your PDF after adding the file attachment. 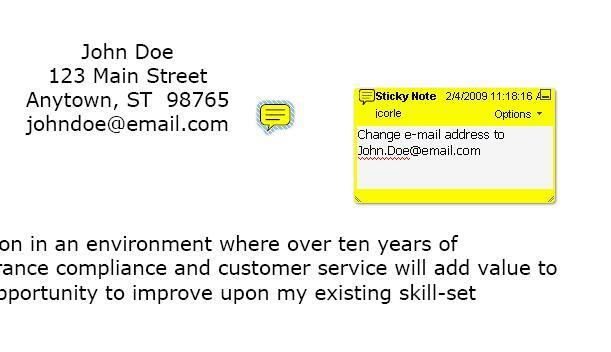 Click once on the "Sticky Note" option. 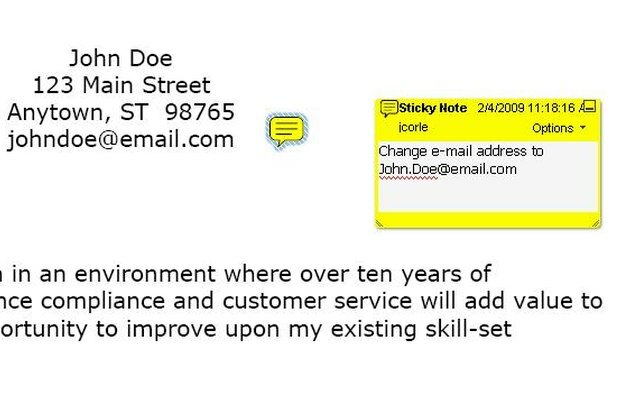 Click once in the area of the PDF where you want to attach the Sticky Note. 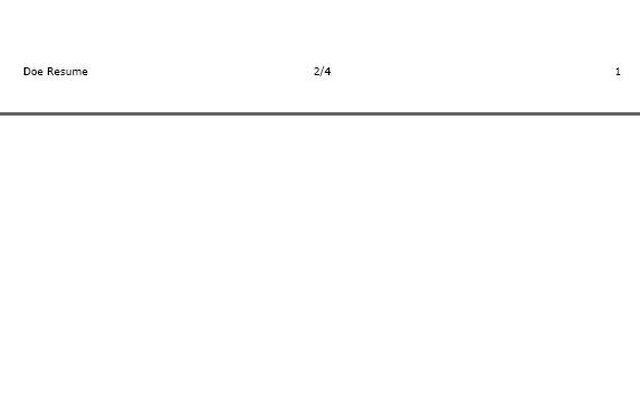 This will mark the spot on the PDF with a yellow callout with a dashed line leading to a text box with a yellow border. Insert text into the text box with the yellow border. You can adjust the size of the box by clicking on one of the corners, holding the mouse button down and dragging. Once you click anywhere outside the text box, it will disappear. Only the yellow callout will be visible. To view the text in the Sticky Note, click once on the icon. Similar to the File Attachment icon, you can move the Sticky Note icon to another place on the PDF file. Click once and hold the mouse button on the icon to drag it around the PDF file.